The question is: who is it that Jesus has brought to you today for you to help and show his love to? I was talking today with a guy called Dave in the Saltmine Office in Dudley. I shared with him about the man who prayed for years for the Lord to use him. “When will you use me?” He would cry out time and time again. 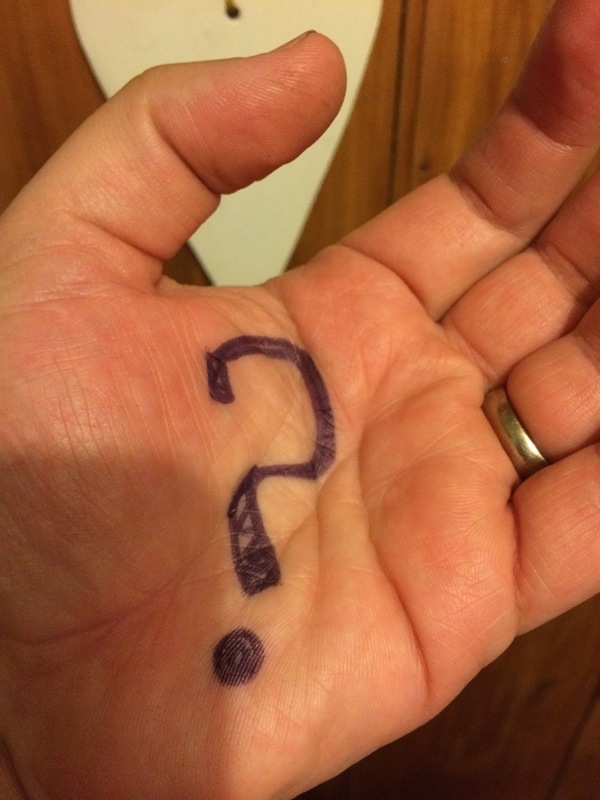 To help him remember the Lords words to him he drew a question mark on his hand. As I drove home from Dudley I saw a lady standing by a scene with lots of bunches of flowers and a police sign appealing for witnesses as there had been a fatal crash. I then glanced down on my hand and thought that I should go back and ask if the lady was OK.